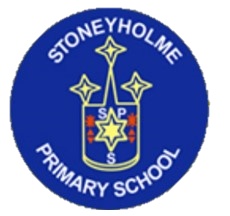 If you would like your child to attend Stoneyholme Community Primary school please click the link below. All Reception class admissions and Reception waiting lists are dealt with by the Education Office (link above) from Sept-Dec of the current academic year. From December onwards Reception admissions can be made by contacting the school directly and all waiting lists will be held in school. Application forms for children in Years 1-6 can be collected from the school office. Where places are unavailable your child will be placed on the waiting list until one becomes available. Children who were born between 1st September 2014 and 31st August 2015 may be admitted to our Reception classes at the start of the Autumn Term 2019. Induction meetings for these parents are held towards the end of the summer term. Prospective parents arriving mid term or wishing to transfer their child to Stoneyholme Primary School are welcome to arrange an appointment with the School Business Manager Mrs Galawan to view the school. Children with older brothers and sisters who will be attending when the younger children starts school. Children for whom the County Council accept there are exceptionally strong medical, social and welfare reasons for admission which are directly relevant to the school concerned. The remaining places are allocated according to the distance between the child’s home and the school and between home and the nearest alternative school with a place. Brothers and sisters including step children, half brothers and sisters and foster children who are living with the same address. NB if category 1 and/or 2 is oversubscribed, category 3 will be used as a “tie-breaker”.